We recently created an innovative mortgage program for first-time homebuyers. 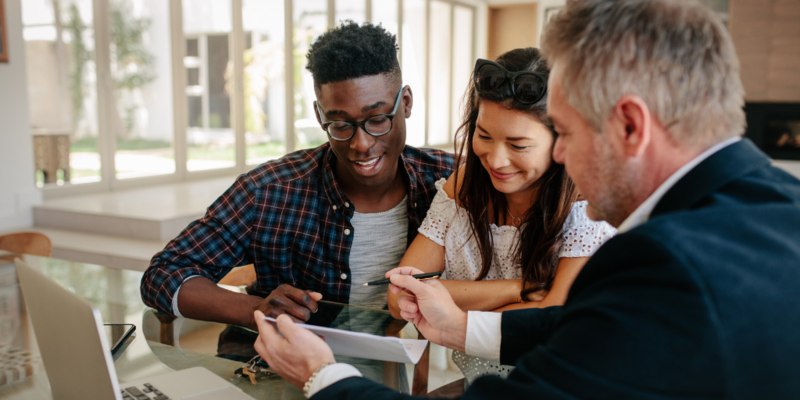 Qualified households can buy a home on the open real estate market using affordable mortgage financing from TCHFH Lending, Inc., our wholly-owned nonprofit mortgage company. Through this new open market mortgage option, we actively partner with REALTORS® to give homebuyers more purchasing power to find a home they love anywhere in the Twin Cities seven-county metro area. If you're an agent working with a first-time homebuyer, here's what you need to know about Twin Cities Habitat for Humanity's Homeownership Program. After you learn about our program and mortgage product, check out the Habitat Realtor Network and sign up to attend an upcoming Realtor Connect meeting. Mortgage pre-approval from TCHFH Lending, Inc.
Habitat staff are here to help clients all along the way. Our Homeownership Advisors work with clients from introduction and program application, through education and mortgage readiness. The mortgage team ensures each homebuyer has the best financing package to help them affordably buy a home they love. All homeowners are set up for success with monthly mortgage payments that are no more than 30% of their household income. For buyers who aren’t yet working with an agent, our homebuying process educates them on how to work with a REALTOR®. See all mortgage details here. *For example, on a $175,000 30-year fixed rate loan at 3.0% with no down payment, your monthly payment would be $737.81 and the APR would be 3.0538%. This payment amount does not include homeowner’s insurance, property taxes, or maintenance fund, which must be paid in addition to your mortgage. Who may qualify for a TCHFH Lending, Inc. mortgage? Potential homeowners must first complete our Homeownership Program. Here is the general criteria for our Homeownership Program. 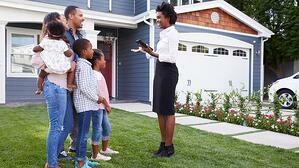 If you are working with a homebuyer right now, your client can get started here today. Now, you have one more tool in your toolbox to help first-time homebuyers fulfill their dream of owning a home. How can I join the Habitat Realtor network? Learn about the benefits of joining the Habitat Realtor Network today. You’ll have the opportunity to gain access to insider knowledge, affordability assistance for your clients, and more. And, once you close homebuyer loans with us, we provide additional benefits to recognize your partnership. We look forward to working with you to help your clients buy a home they love with a mortgage they can afford.